Reviews are the lifeblood of any local business. In fact, positive local reviews play a critical role when a consumer is considering what product to buy or what company to work with. 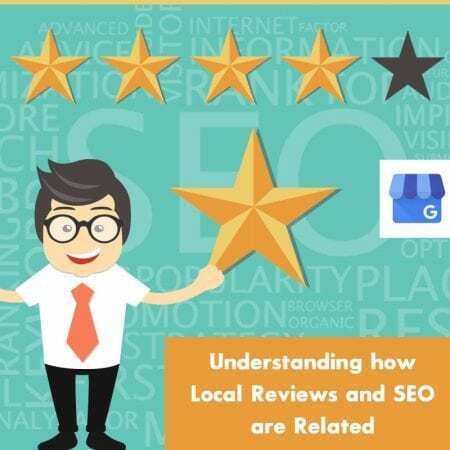 What many people don’t realize though is that Google My Business (GMB) reviews also affect your local SEO, which is why you should pay attention to it – especially since Google is now the biggest site for reviews. Unfortunately, Google won’t state how it determines its search algorithm here. With a local review your customers are receiving unbiased opinions of your business from other customers who have been to your business in the past. This crowdsourced information doesn’t come from you or someone who works for your business or that you’ve paid to write a review for you. This is why it isn’t surprising that Google uses it to help them determine your local SEO ranking. After all, they’re also known to reward businesses who receive backlinks from other websites because they feel this means more people are talking about your business so it should rank higher in their listings. Reviews are growing even more important now that Google has done away with Google+, focusing more on GMB. Now a local review with keywords in it will really help them decide where you should be listed in the “local pack” (the box at the top of the search results, directly underneath the map, which shows local businesses that match the keyword that’s been searched for). Reviews will help improve your keyword ranking but you should also push to be included in Google Q and A – where crowdsourced questions are answered by businesses and consumers alike. They’re important because when they contain keywords, they’ll also show up in search results. You can also pre-populate the Google Q and A with common questions and answers. This is something you’ll want to take advantage of because it can also help improve your local SEO. It’s vital to understand the important role that engagement plays, not only in social media but also with GMB. This is why you’ll want to make sure that your customers aren’t only liking your Facebook posts and commenting on your Instagram photos, but that they’re also leaving reviews on GMB and asking you questions on Google Q&A. When they do these things, you should make sure to respond to them in a timely fashion. Although there are a lot of great tips here, you should also remember to look at the GMB support page that’s entitled “How to Improve Your Rankings on Google.” There you’ll find ways to interact with your customers and catch Google’s attention. This is important because it’ll affect your local SEO. At the very least, responding to these things may change how your customer feels about your business. They may even change a negative review to a positive one. In fact, studies show that about 89% of consumers will do this if a business responds to them appropriately. Whether you need more information about local reviews or you need some help with local SEO, you should turn to the Local SEO Company. Over the years they’ve helped many customers get the traffic and attention they need from the search engines, thus earning the great reviews they’ve received along the way. Check them out then give them a try for yourself. You’ll be glad you did!